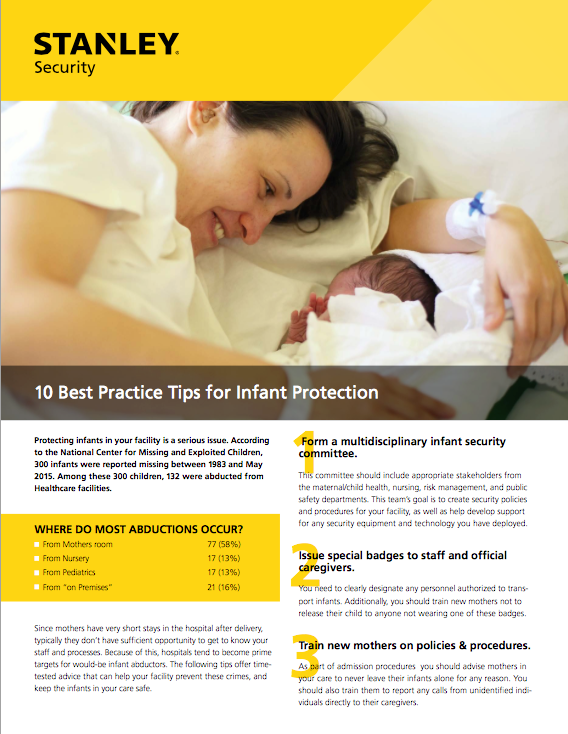 Since 1983, nearly half of all infants reported missing were abducted from healthcare facilities; so it comes as no surprise that protecting the infants and mothers in your care is of critical importance. Since mothers have very short stays in the hospital after delivery, they typically do not have a sufficient opportunity to get to know your staff, procedures, and policies. Because of this, hospitals tend to become prime targets for child abductors. In this recent article, we've outlined 10 key best practices you can implement to ensure your facility provides the utmost protection for your patients.